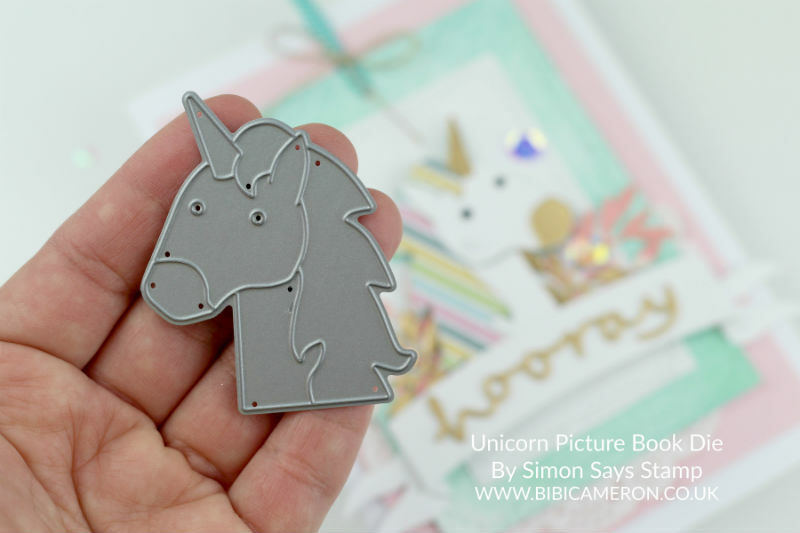 I love picture book dies by Simon Says Stamp! and the "unicorn" is just a dream... I made very subtle composition today and I applied a quick paper piecing technique. 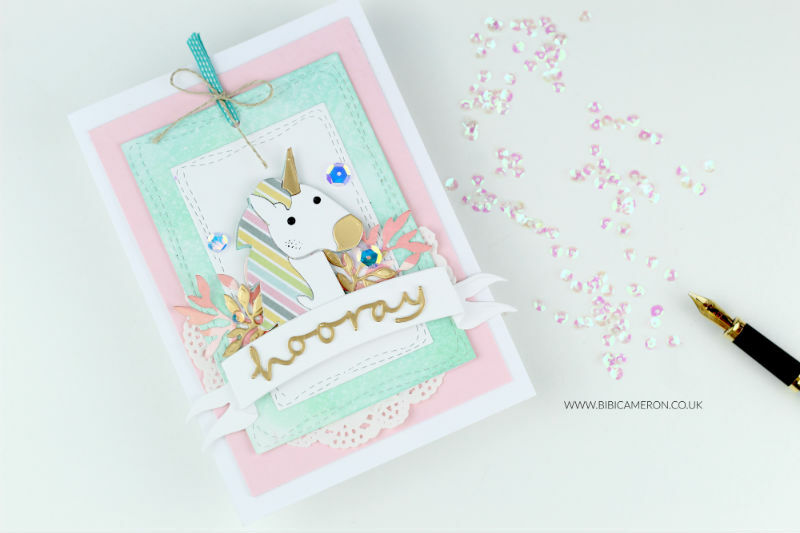 Once you cut different papers with Picture Book Unicorn die, you can easily put the 5 small pieces together on a piece of cardstock, glue them down and trim the whole image with scissors. 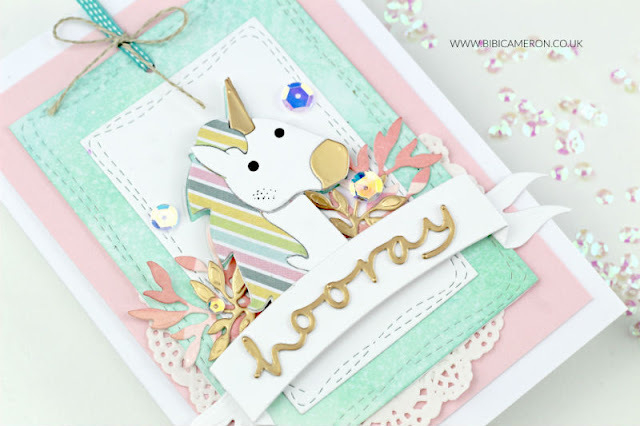 This die is from the new Hello Love Release by Simon Says Stamp! 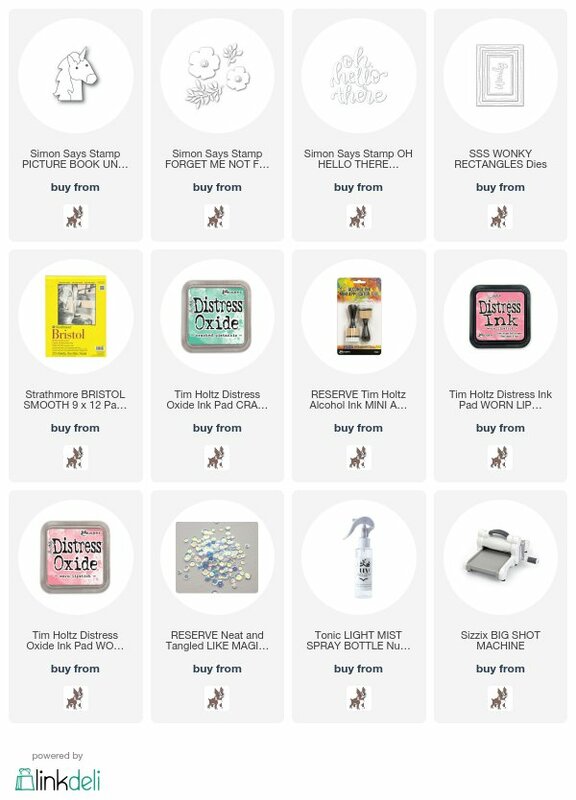 There are other 2 new picture book dies in the release: an ice cream and a teddy bear, so we got 3 new characters on that collection and exclusive products for this season. I'm in love! Click here to see full release! I'll be posting extra ideas in the next couple of days with the unicorn and the ice cream die ... they are super cute! For this card, I also used the "Horray Banner and die set" by Tonic Studios and the leaves die is from "Forget me not dies by Simon Says Stamps". 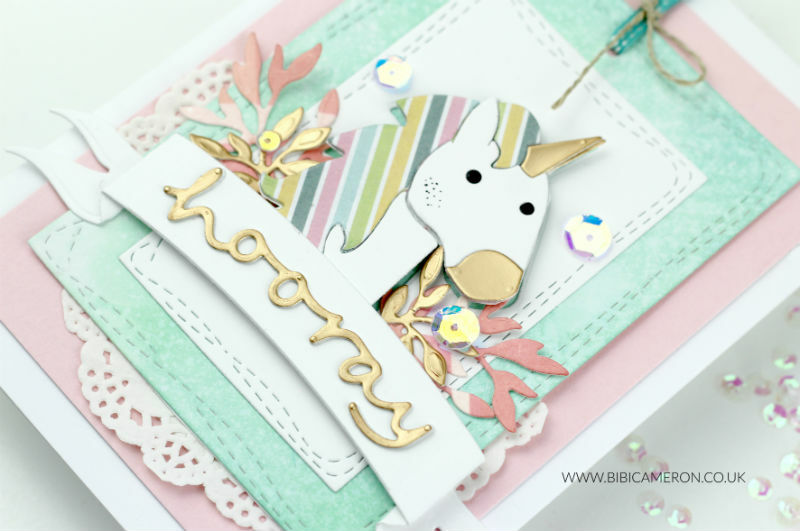 I also used a Honey Gold Craft Perfect Cardstock by Tonic to add accents and my favorite sequins from Neat and Tangled called Like Magic. Oh ! And I used Black Nuvo Drops to create the eyes. With a blender tool, I randomly applied Cracked Pistachio Distress Oxide ink on Strathmore Bristol paper. Then I sprayed water and that was a speedy paper makeover. I love the soft color produced by the ink on that paper. Note: I highly recommend to use Strathmore Bristol paper as the ink blending is extremely easy and always rewarding. You can color the die cuts with alcohol markers, apply watercolor, die cut patterned papers.. etc. 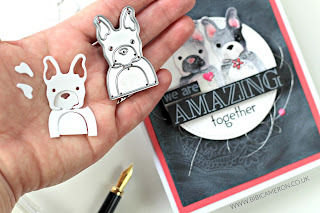 check out this video -post here using the cutest French Bulldog die, released last September. I also would like to invite you to fallow the release in social media with the hashtag #SimonSaysLove and make sure to add the hashtag to your social media shares so many others can see them.